Here is this week’s Around the Web news roundup of Star Wars and beyond. Lots of news this week with Star Wars Rebels, but also a lot of other news in the book realm and elsewhere. This one falls more under rumor than solid news as it’s a very strange find, but Knights Archive spotted an Amazon listing for an untitled Ballantine Star Wars book with “(Star Wars: Jedi Academy)” in the listing. The hardcover has a November 4, 2014 release date with LucasBooks as the publisher. Placeholder mess up? Re-release of Kevin J. Anderson’s classic trilogy? Or something genuine and new? Who knows, but it’s interesting. Other new listings on Amazon include Star Wars Costumes by Brandon Alinger coming from Chronicle Books in October, and the next book in the Star Wars Art series Star Wars Art: Posters which is also set for October. 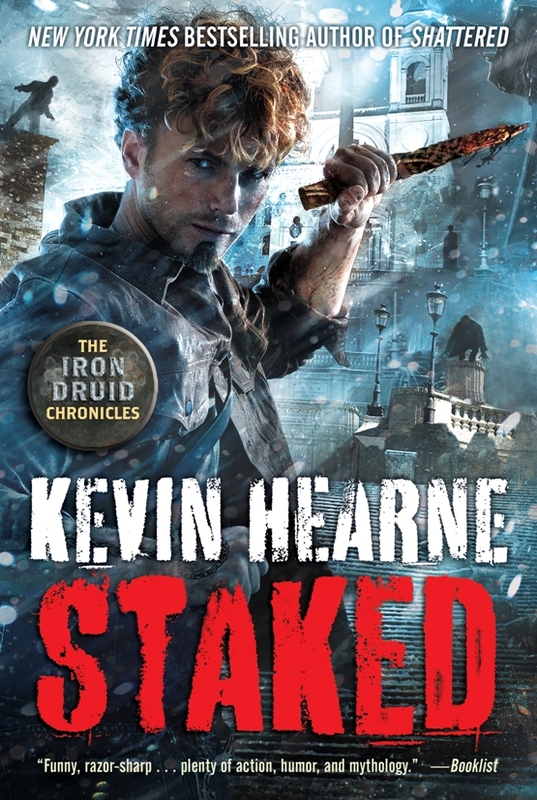 Kevin Hearne has posted tour dates for his next Iron Druid Chronicles book Shattered. The cover for Jason Fry‘s next book has been revealed – The Jupiter Pirates: Curse of the Iris. Hunted by Kevin Hearne is out today in paperback, digital and audiobook formats from Random House Books. This marks the sixth book in the Iron Druid Chronicles.